We provide compassionate, accessible, high quality, cost effective healthcare to the community, to promote health, to educate healthcare professionals, and to participate in appropriate clinical research. With our highly trained medical professionals, Patient satisfaction and care is top of our Priority. Our physician and staff are here to ensure clients receive the best of care. 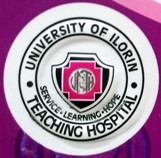 Clinic Address: University of Ilorin Teacging Hospital old Jebba Road, Oke Ose Ilorin, Kwara State Nigeria.